Giorgetto Giugiaro, shown, on Ferdinand Piech: "Every time I said something to him, he'd write it down." Volkswagen's plan to buy a controlling stake in Italdesign Giugiaro, Italy's famed design and engineering firm, reunites car stylist extraordinaire Giorgetto Giugiaro with VW's lordly chairman, Ferdinand Piech. The two men go way back. During the summer of 1972, a young Piech based himself at Italdesign's offices in Turin. Piech had worked at Porsche AG, his family's sports car firm, until Porsche and Piech elders deemed that clan members should not hold executive positions at the company. With a few connections, Piech got himself ensconced at Italdesign. As it happened, Giugiaro was putting the finishing touches on the designs for the first-generation VW Golf and the Scirocco coupe. In 2002, Giugiaro recounted the summer of Piech for Automotive News Europe. 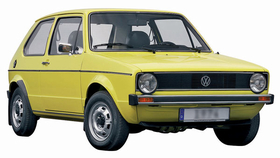 Piech didn't think the first VW Golf, shown, of the 1970s, would be a survivor. He was wrong. "Piech was making technical drawings of various mechanical layouts," Giugiaro recalled. "Every time I entered his office, he came to attention like a soldier in front of his general. I felt that this was absolutely not necessary because he is 16 months older than me. 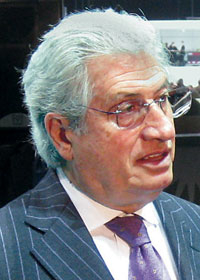 Every time I said something to him, he'd write it down," Giugiaro said. When his brief assignment was over, Piech remarked to Giugiaro: "I really like the Scirocco; that will be successful, but not the Golf. That car will be a failure." Many years later, after the two had become close friends, Giugiaro worked up the courage to ask Piech about his flawed initial reaction to the Golf -- which turned out to be stupendously successful. According to Giugiaro, Piech simply replied: "I felt it was too advanced for its time."